In the previous article we were introduced to the general concepts of Machine Learning and Deep Learning. 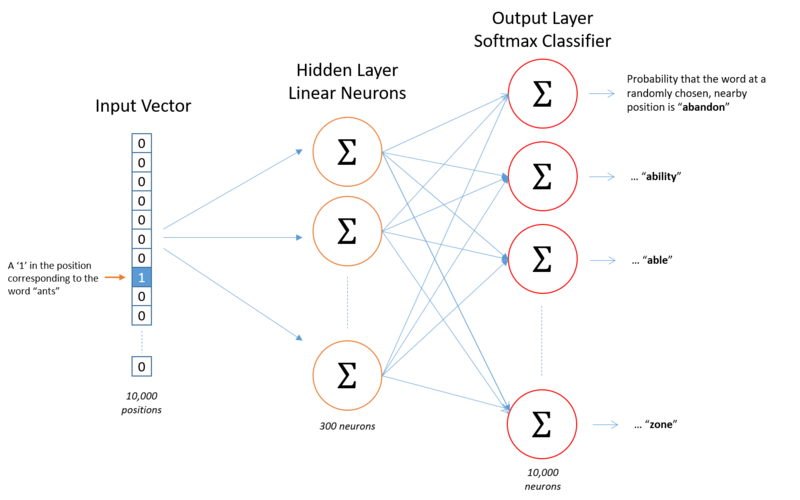 We also discovered what is a Neural Network and implemented one using the amazing Deep Learning library Tensorflow. The implementation was simple but it gave us a strong understanding of the underlying concepts and also gave us knowledge about the computational model of Tensorflow. We will extend that idea in the present article and then apply it to a partcular problem, viz – Natural Language Processing. Before we venture deep into Deep Learning, let us put a pause here and ask ourselves – “Why is it important for a computer to understand Human Language?” Well, the reasons are many but it is sufficient to say that language is one of the primary modes of communication that is natural to human and if a machine understands conversational language then that opens up a multitude of different possibilities of how a human can interact with the machine and gets the jobs done. Natural Language Processing, which includes both understanding and generating Natural Languages (like English, German etc.) had been one of the holy grails of AI since its inception. The idea is so strong that almost every futuristic Hollywood movie and every sci-fi books involving a futuristic society, has a computer able to converse as a human, with a human. But the problem itself is a very difficult one. In fact, many feels that the problem of Natural Language is harder to crack than problems in some other domains of AI. Let us try to see a part of if and implement some really cool and interesting models to deal with this problem. In particular from here onwards, spanned across few articles, we will develop a model and its implementation to detect the Positive or Negative sentiment of a given movie review. Pretty cool! Huh? We have not discussed much about the underlying mathematical concepts of Machine Learning. But to take a deep dive into the world of Natural Languages, we need to have a basic understanding of the mathematical ideas behind them. So I will try to give you a very brief understanding about that. The first thing I will talk about is a vector. A vector is just a nX1 matrix. Which means it has n rows and 1 columns. This is one of the very basic thing that you have to keep in mind. And actually that is all you need to know about them at this point. Certainly there is a lot one can know about them and about Linear Algenbra in general and for the curious ones, I suggest going through course materials of MIT OCW 18-06-linear-algebra. So how does vectors help in deep learning. Well, we try to express all our input data as vectors. Imagine an image, 28X28 pixels, i.e., 784 pixels total. Each pixel is nothing but a numerical value (Consider a greyscale image for simplicity) so if we take all of them and put them one after another in a single column then we get a 784 X 1 dimensional vector and that contains all the information we need to know about the image, and we can construct a model of Neural Net and feed this data in with some activation function and get a classification out. It is that simple! However, for words, the situation is a little bit different. We will not know everything about it from a vetor like this. Everything we need to know about Human Languages may not always be encoded inside the small span of a single sentence. There are certain context, particular usage and specific meaning that we will not be able to get using the same method as we applied for images. Is in not a self contained encoding system. To counter these issues, and generally to model language in a better way, Mikolov et.al. proposed the famous model called Word2Vec while they were working in Google AI research in 2013. The idea behind Word2Vec can be understood from a mathematical stand point. And for that you need to understand the Vector Space Modelling and all related theories. Although you are free to check them out but we will present an intuition here. Let’s take the famous sentence – “The quick brown fox jumps over the lazy dog” what is our objective? It is simple – we’re going to train the neural network to do the following. Given a specific word in the middle of a sentence (the input word), look at the words nearby and pick one at random. The network is going to tell us the probability for every word in our vocabulary of being the “nearby word” that we chose. Here “nearby” actually means a window of n number of words to the left and n number of words to the right. So what we are saying is – Given an input word calculate the probability of each of the rest of the words in the vocabulary to be the next word after the the input word. And if our model is right and the training is successful then given the input word “fox” the probability of “jumps” being the next word will be way higher than the probability of “lazy”. The main intution behind this model to work is the assumption that related words seem to occur near to each other very often than unrelated words. This is the concept behind the model we are going to implement. Formally it is called the Skip Gram Model. It is easy to understand that we will have a lot of training steps that way, as we compare the probability of each words with all the other words in the vocabulary. So we also implement something called negative sampling. Where we “Cut” down all the occurrences of the popular words once we visit it. One final note before we jump into code – as we can not feed in strings as input vectors for a nural network, we create something that we call “one-hot” vector where we have 1 in the place of the target word and 0 otherwise. That helps us to transform a string to an initial vector representation. The vector’s dimension (the number of rows it has) is equal to the vocabulary size. Equiped with the knowledge we already have, let us see some code now. Before we do that I would like to mention, for a more detailed and through understanding of this model, it is useful to check out Tensorlfow’s own documantation as well. """Download a file if not present, and make sure it's the right size.""" # The expectations did not match. Raise exception. # Read the data into a list of strings. """Extract the first file enclosed in a zip file as a list of words"""
del words # Hint to reduce memory. 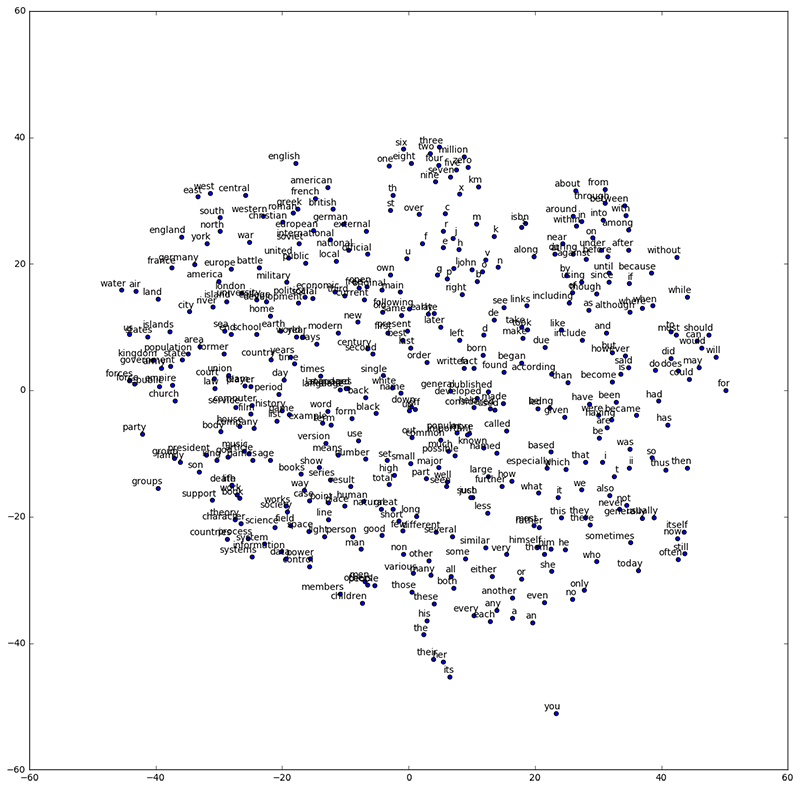 We have successfully modeled and trained a Neural Net to represent words as vectors. Using this we can easily derive relationships, often contextual and complex between words. For an example, we can write something like -> Longest – Long + Short = Shortest. This is amazing! This means our program is able to reason, at least at the basic level, almost like a human. In later articles we will use this powerful idea and use it to create a Sentiment Analyzer. We will see how this reasoning and logical / mathematical framework gives us the much needed power to define and determine the underlying meaning of a sentence. We will dive even deeper in the world of Deep Learning. Shubhadeep Roychowdhury was born in 1979 in a secluded small village of Eastern India. He has always been a curious soul and studied Physics and Computer Science in his Bachelor and Masters level. He is working as a professional software developer for the last 11 years and has designed and developed a bunch of successful and highly scalable backend systems across India, USA and Europe. He has recently been working in serious deep learning projects although NLP has always been a passion for him. Living in Paris with his wife, Shubhadeep can often be found trying to write or travelling with his wife when he is not working.